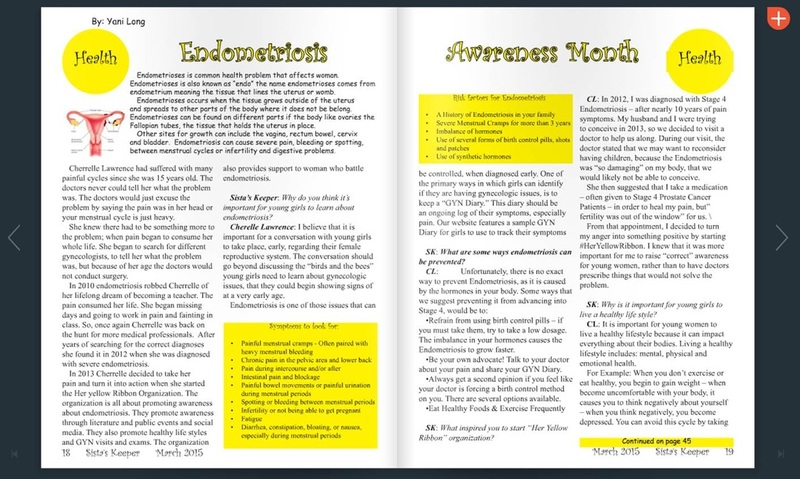 To provide support for women who battle with ENDometriosis. 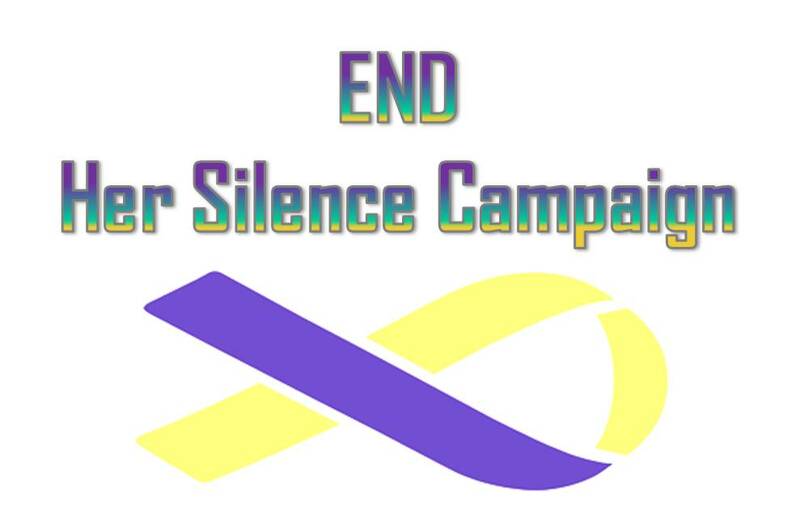 Bridging the Gap and encouraging conversation among women who have Endometriosis, Lupus & PCOS and their supporters. Our Founder, Cherrelle Lawrence, was a panelist at the UNC viewing of "EndoWhat"
​Click here to view photos from the event! 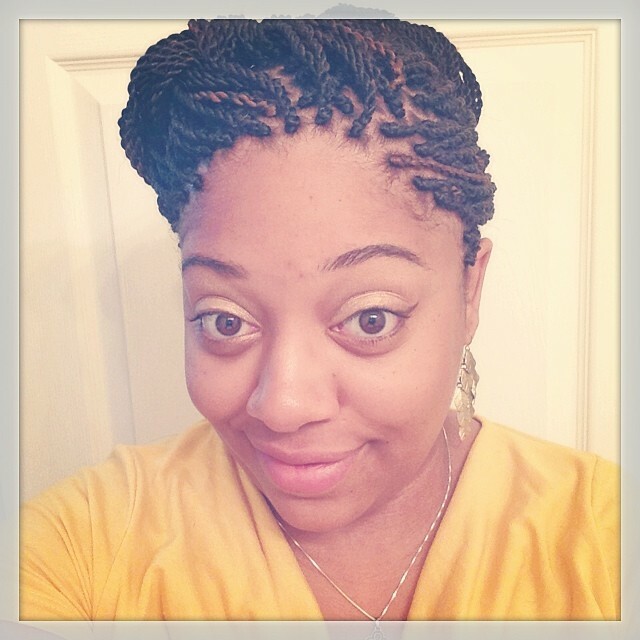 Check out new blog posts from our Founder, Cherrelle Lawrence. 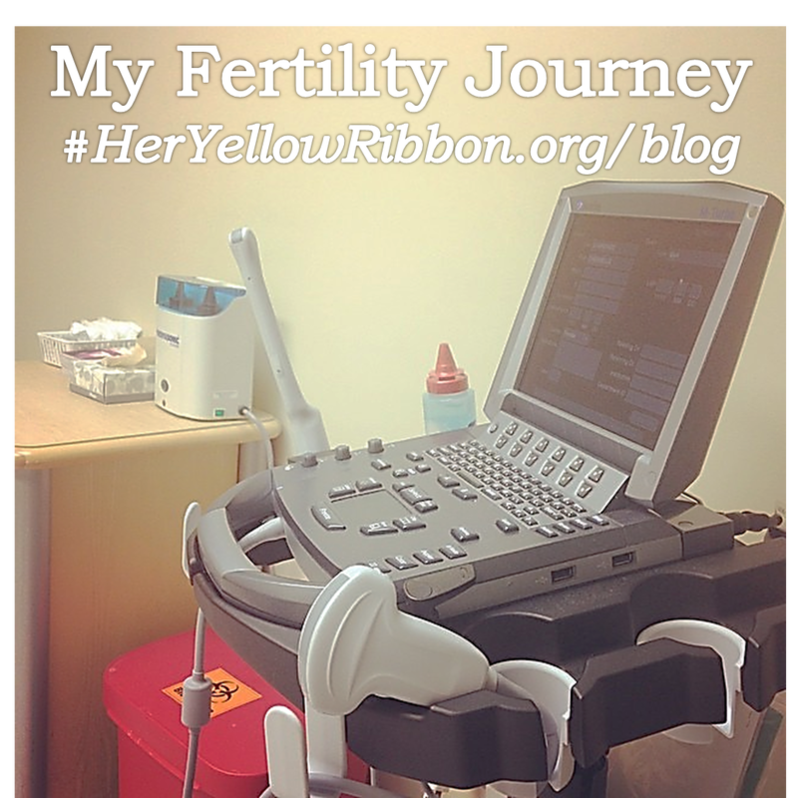 Read along as she shares her stories about Endometriosis, PCOS, Cancer, Fibroids & Fertility! #HerYellowRibbon is featured in the March 2015 issue of Sista's Keeper Magazine!